These days were quiet in my own town, with most of what I accomplished amounting to a few home tweaks. But on Day 45 I had a fun WiFi-filled day visiting the cozy Odd Spot, lush Miagen, and modern city of Windfall. This is Lyra’s fairy-tale house so far, with its new wall. All I “need” is the fence, but like I mentioned in the last post, I’ll probably be moving her house’s location, so I’ll have to start over in collecting house parts. At least I haven’t spent much on expansions yet! It’s beautiful when the sky starts to lighten in the mornings and there are still some stars visible. It looks like Estel’s hedge will be short-lived since this fancy fence I’ve been wanting has finally showed up! My first bridge request… not one I plan on using. I do like the new fancy fence more than the hedge, I think! I ordered an aurora screen from Lindsey’s HHA house the day before, thinking it might make a good addition to my sky-themed room. The bottom of it is black, though, which bugs me since the room is white. I tried to hide the bottom of it by putting it behind this table, but I’ll probably just take it out… it’d be more fitting for a nighttime sky-themed room, anyway. What a unique way to landscape the town square! Wish I had a lighthouse! I’ve heard that animals of any personality type can request one, so I’m surprised no one has yet. And the mixed-and-matched pink and blue customizations on Pinkie’s house look so pretty together! It was O’Hare’s birthday! ^_^ He didn’t have the party decorations set up while I was in town, but I wished him a happy birthday all the same. A bit later on I had a WiFi set up with Cassidy in her town Miagen. 😀 We’d WiFied a few times before, but I hadn’t been to her town yet. She has gorgeous paths set up in her town, and coupled with the surrounding trees and flowers, it gives such a lush atmosphere. Ah, it’s the villager who has the same name as one of my characters. 😛 Hope she never turns up in Citàlune, that would be confusing! Random tidbit: Back when I created a character for Violet and typed in her name, it actually wouldn’t accept the name. I got the impression that the censor for curse words caught something? I just found it strange since there’s an actual AC character by the name of Violet. I had to use a different character for the “o” for it to work. While looking around, the first house I came across was this log cabin. Very cozy! I’ve heard that you can customize cabana furniture with gold ores, and I wonder if that’s what these are? Not sure, but they seem brighter than what I remember. This wall radio is actually one of my own personal favorite items so far! It plays all these different clips of music (some unfamiliar and some familiar, like once I heard K.K. Ragtime) with a fuzzier quality than most music players, and there are often voices and laugh tracks in the background. It just gives off a nice homey atmosphere, I think. This stone one with an impressive garden is the mayor’s! And inside I found the haunted Rococo room — the eerie blue lighting and Hypno K.K. really complete the mood! Pic together by the town tree! 🙂 For a lot of us, our town trees have been stuck at this size a while, hope it grows again soon! She’s got an illumination park started, so pretty! ❤ I love that it's illuminated even though it's not nighttime yet. It looks beautiful in the sunset! Later in the evening I visited Windfall, the town of Jasper, a new 3DS friend I made recently through Cassidy. Shortly after, Cassidy arrived in Windfall as well. I really like this wisteria arch and its placement near the waterfall, and how he’s used the stream patterns all around. Another awesome area in Windfall was this mini-mainstreet with the café, town hall, and police station just two spaces apart from each other. At the turn of the hour, we made sure to head over to the modern clock! 😀 There were some futuristic noises and glowing, shifting rainbows across the screen. I remember reading about this on Cassidy’s blog, and I think her word to describe it (uncanny) fits pretty well. 😛 It’s neat, though! I wonder if any of the other clocks do anything. Ooh, the regal wall looks nice in the modern structure, it gives the impression of a hotel. The last place we visited (before WiFi crashed) was the museum’s second floor. I loved this exhibit called the dream hotel, it’s very creative and makes great use of the aurora screens! 😀 Thanks so much to Jasper — and to Cassidy and Courtney as well — for having me over and letting me look around your towns! It was such a pleasurable day of WiFi visits! Posted on July 25, 2013 by Amy •	This entry was posted in AC:NL, AC:NL WiFi, Citalune and tagged Animal Crossing. Bookmark the permalink. The fancy fence around Estel’s house looks really nice 😀 Especially with the white lilies and the flourishes on the regal wall. Your sky-themed room is super cute ❤ Those rainbows are really cool. I wish they'd thought of that earlier in another AC game! It is K.K.’s stage; in the evenings he’s there DJing, but in the afternoon you can go there to see a comedy performance by Dr. Shrunk (which gives you a new emotion). You can collect all the emotions in this game, not just 4, so I’m sure I’ll get some better ones eventually. Thanks, I like the rainbow screen too! It was DLC, but if you get New Leaf one day, I’ll make sure to order one for you. ^_^ And yeah, love that neon area in Windfall 😀 In past AC games I’d try to make patterns based on outdoor landscaping, like fountains and such, so it’s awesome to have the real thing instead in this game! Wow, new leaf sounds super amazing!! I especially like how you can collect all emotions 🙂 Oh goshh now I really want that game! I didn’t know the modern clock did that rainbow thing! It would be nice if you could see those kinds of features when you’re looking at possible projects in the town hall. I wouldn’t have guessed it did that either! I agree, that would’ve been a nice addition, since there are some public works that do special things, like the geyser, drinking fountain, and clocks (I’ve heard that the fairy-tale one does something, too, but don’t know what — look forward to seeing it!). I agree, it’s great to see what everyone’s done so far with their mayor’s houses — the new house parts options, the interior, and landscaping/gardening in the yard. You’ve already made amazing progress on all your characters, not just the mayor! Hey! It was great Wifi’ing with you yesterday! Sorry I had to leave so soon…and leave you for five minutes. I was in a horse-riding competition today, so I had to do all the preparations yesterday. My poor planning skills. Sorry! But I guess we ARE Wifi’ing next week…unless I’ve forgotten something else. But it was great to see Citálune, and meet Jasper, and thank you so, so much for all the cherries and persimmons! I planted them when I got home and all of them lived! 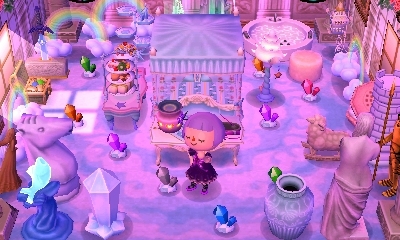 Oh, and thanks for letting me catalog those Rococo and Sleek items. I had a few of the Sleek ones, but the thought counts. I’ll look for stuff to bring as a present for you next time, but, as I said, my T & T’re useless. Do you have TIY? I could bring some bushes or something over, if you need them, but you’ll probably unlock it in the next few days. Anyway, thanks, and I’ll keep looking! Cool post! I love hearing what people think on other people’s towns, even if I’d never visited the one they did themselves…That just got really complicated at the end. But I loved the look of all the towns! Odd Spot has my 2# favouite neighbour ever: Cookie. It reminds me of one of my dogs who was named Cookie by his breeder’s kids before we got him, even though he looks nothing like a cookie. Plus, she’s just adorable! I have a soft spot for AC dogs. I think (On the topic of clocks doing things) that the Zen clock has a cuckoo which pops out every hour, or else just has pointless little doors on the front. I’m thinking its the first. Yeah, it was great WiFing with you for the first time, after all our comment chats. 😀 (Although our comment chats have probably been more substantial, it’s hard to have a decent conversation with the in-game keyboard and stylus :lol:) And that’s totally fine, I hope you had a great competition! We can WiFi next week as well, unless something comes up for whatever reason, and I’ll let you know. Yep, I do have T.I.Y. now, woooo bushes! I’m really, reaaaaaally sorry, but I can’t Wifi on Saturday, cause I have to go to my cousin’s house that has no Internet connection. But I’ll be free sometime in the future…dunno when, though, my life’s really busy this month. Aww, your cat sounds like he was gorgeous! I have a partially black cat, but he’s so unlike and AC character that I can’t connect him to one. 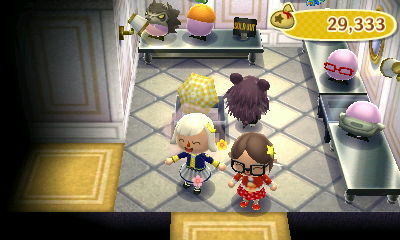 I love Kiki too – she was my first-ever friend in AC. Even if she’s not particularly beautiful, she has one of the nicest characters, in my opinion. Great, you have T.I.Y.! 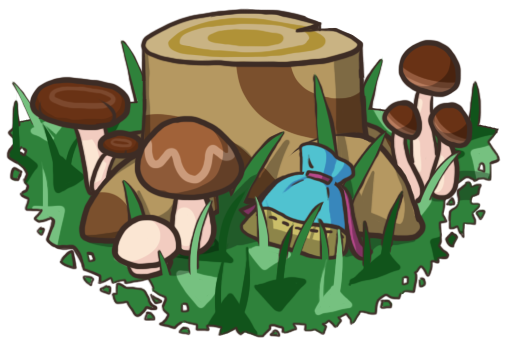 I wish there was more bushes for sale : I’ve got huge plans but a measly two bushes a day is just…just…GAH. I’m able to work at my café now, but it’s frustrating. All the villagers keep being really vague about what they want! I agree about the bushes; it’s awesome to finally have them, but it stinks to only get two a day. >_< I get frustrated about the amount of saplings sold each day as well. On the other hand, flowers are so easily accessible via the island tours (and my neighbors plant a whole lot as well), so they're hardly even needed in the garden shop. I was having the same problem with my neighbors requesting modern projects that don't match my vision I want for my town at all (as seen in this post and others :P). But I finally got a few fairy-tale requests, so I'm pretty excited about that! I didn't know you were after the fairy-tale projects as well, cool 🙂 I believe normal characters request the bench, street light, and clock, and peppy villagers request the bridge, so try to walk in front of those characters often. Lately I've been going swimming for 10 minutes or so and then sneaking around looking for the right neighbor to walk in front of (and with my pockets full of things like money bags and flowers so that they can’t sell or buy something off me). Yeah, I've heard that the right coffee for each animal can be hard to figure out. I've seen some guides, like this and this, but I’m not sure if they actually work? I have Lindsey and DY from the HHA Showcase as well – they must be Nintendo people! Ohh, I see :p No matter what season it is, I’m ALWAYS trying to sleep in, like, I’d never be able to get up at 5am! It would be super convenient to have a longer day, but your stores wouldn’t open that early anyways, so what would you do at that time? :O ARGH, jealous! I’m always wayy too tired during the school year! !